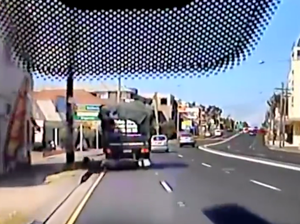 Dashcam: Driver avoids car in front, hit from behind. Just when he thought he had escaped an accident, driver is rammed from behind. 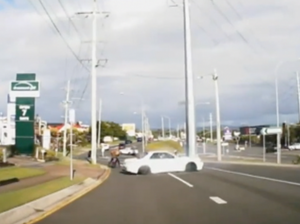 News DASHCAM footage that captured both sides of a three-car prang has shown why it pays to indicate early.